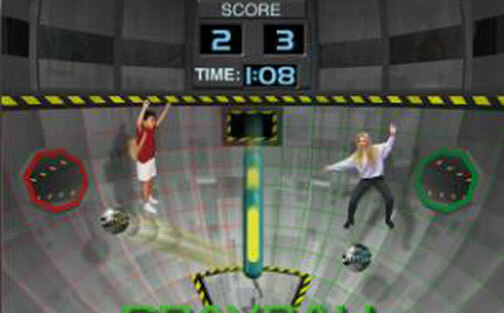 One or two players are "beamed" into the zero-gravity space station arena to compete in a pong-like game, bumping a gravity ball back and forth using your whole body as a paddle to ricochet the GravBall, attempting to score on your opponent. (1) 6' FT. Table Skirted. New and futuristic sport simulator set in a weightless environment. 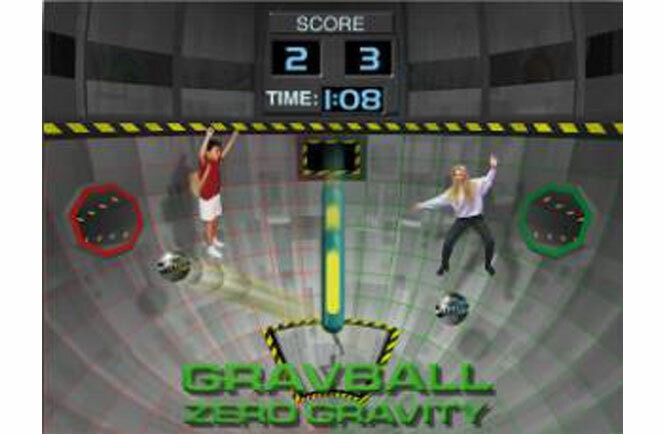 One or two players are “beamed” into the zero-gravity space station arena to compete in a pong-like game, bumping a gravity ball back and forth using your whole body as a paddle to ricochet the GravBall, attempting to score on your opponent.